Apple's newly released iOS 10 update features enhanced QuickType keyboard recommendations, which now go beyond suggesting the next best word to write, intelligently recommending dates, locations, contacts and more. Thanks to what Apple calls "Siri intelligence," iOS 10 can analyze Messages content and glean if there's a specific kind of information a person is looking for. 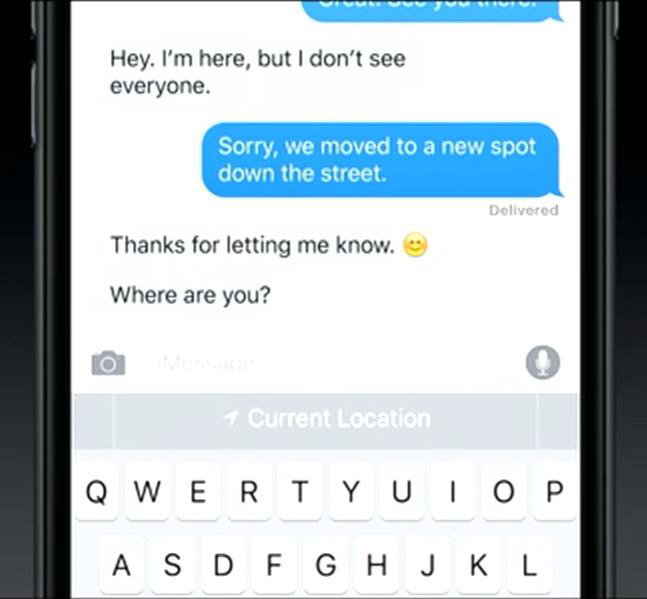 If someone you're talking to asks "where are you," for instance, QuickType will offer to share your current location. If the person asks for someone's email address —and gives enough cues —QuickType can recommend one or more possible options from your contacts. Similarly, the technology can help create new calendar events based on contextual clues. 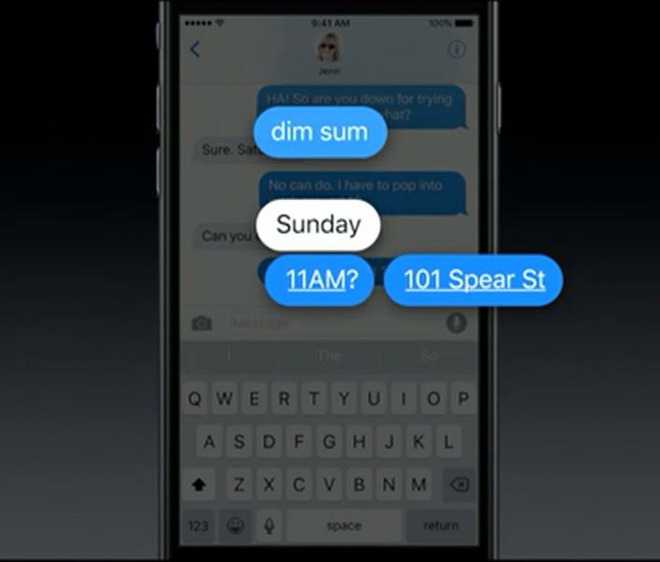 During its WWDC keynote, Apple used the example of a conversation in which the terms "dim sum," "Sunday," "11AM" and "101 Spear St." were detected and combined to allow creating a "Brunch" event, with time and address info already populated. QuickType can also check for calendar availability, help fill in an address based on ones browsed in other apps, and look up terms it recognizes relating to things like movies and restaurants. For some people, one of the most important additions may be the ability to use multiple languages in the same conversation. In iOS 9, trying to type in a language other than the system default will often result in QuickType trying to "fix" each word. iOS 10 makes it possible to use languages like English and Spanish in the same sentence. Editor's note: This article was originally published in June following Apple's announcement of iOS 10 at WWDC 2016. It has been updated and republished to coincide with the mobile operating system's public release. For more on iOS 10, see AppleInsider's ongoing Inside iOS 10.